Shigeru has been called the “Architect of the People” for his efforts in building homes for refugees and evacuees. For him, victims of wars and natural disasters need better housing to help them move on quickly. He began doing this in his homeland, Japan, after the Kobe earthquake rendered thousands of people homeless. The evacuation center did not afford tenants privacy, so his solution was to install cardboard tubes and create partitions using curtains. By doing so, women became more comfortable doing things that needed privacy, like changing or breastfeeding. He also built homes for Rwandan people to prevent them from cutting down trees to use as housing material. He did the same in Italy, China and Turkey. 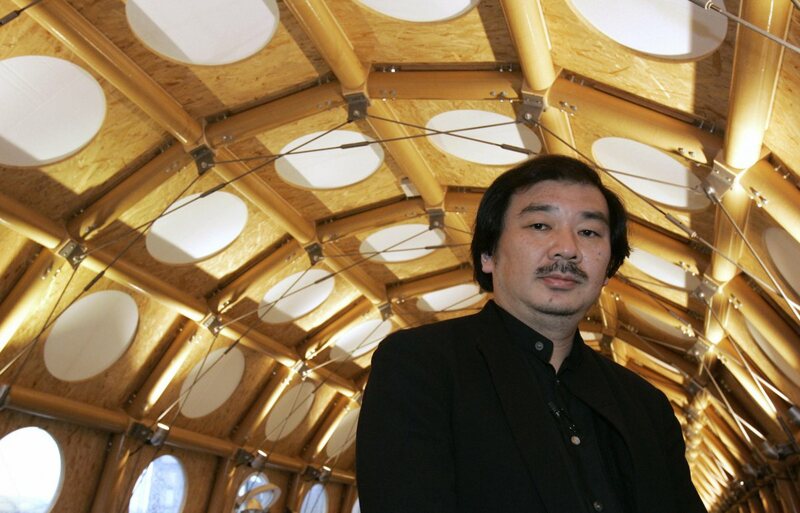 Shigeru is one-of-a-kind not only for using paper in building grand structures; his legacy is his love for his craft and his willingness to use it to help others. He was the first to use paper as a building structure material. He was the founder of the “Voluntary Architects’ Network” (VAN). He built homes for refugees in Rwanda and evacuation homes in China and Japan. He also helped build churches and schools for victims of natural disasters. He is the architect behind the “Musée d’art Moderne Georges” in Pompidou, Metz, France. He won the 40th annual “Thomas Jefferson Medal in Architecture” from the University of Virginia. He received the “l’Ordre des Arts et des Lettres” in France. He was profiled by TIME Magazine in its projection of 21st century innovators in architecture and design. He holds Honorary Degrees from Amherst College and the Technical University of Munich.